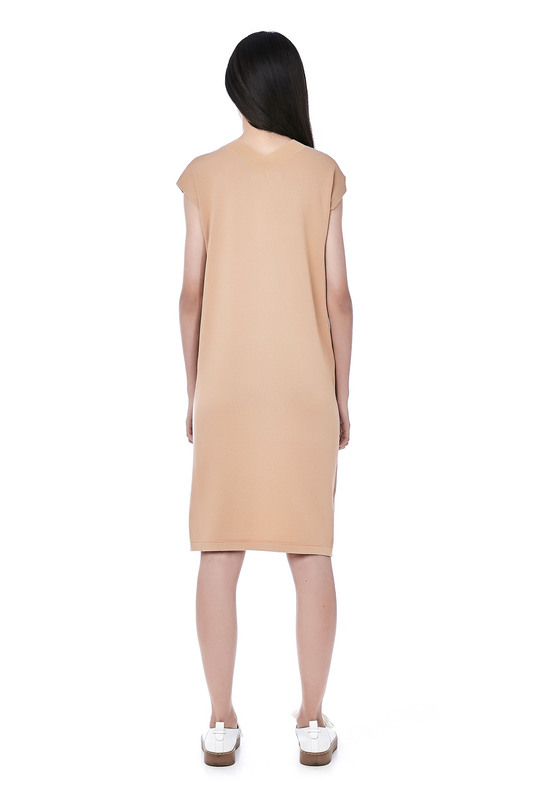 This sleeveless dress is made from knit polyester with stretch. 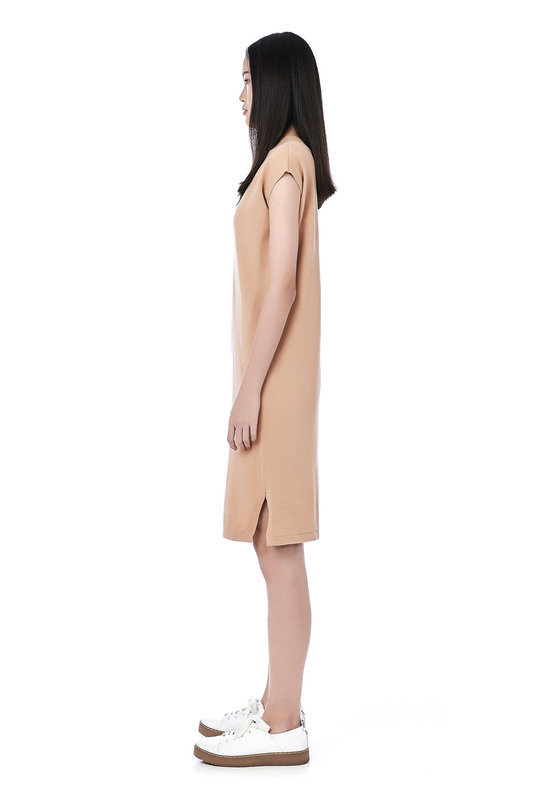 It has a v-neckline featuring ribbed detail, made in a relaxed fit. BUST 36" 37" 39" 40"
WAIST 36" 37" 39" 40"
HIPS 36" 37" 39" 40"